When viewing historical and contemporary photographs, you can immediately feel the energy of the Surf Club: It has always been sophisticated, yet fun. Experience a new tradition that honours an iconic venue's past. 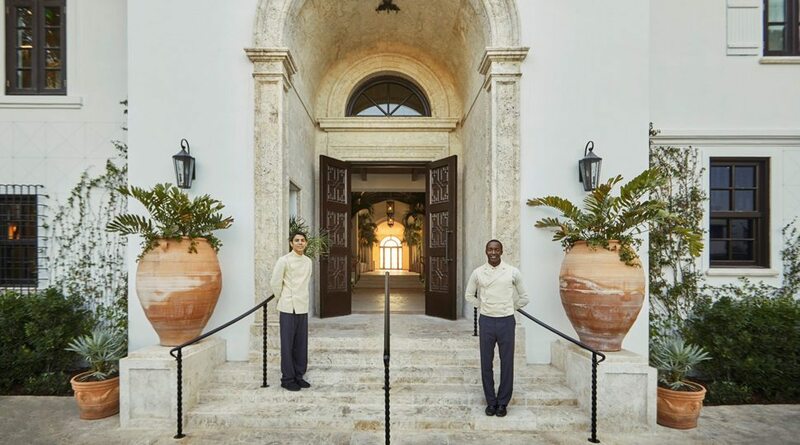 Welcome to Four Seasons Hotel at the Surf Club, Surfside, Florida. In the late 1920s, business mogul Harvey Firestone sailed past Surfside, Florida, aboard his yacht, the Marybelle. Enchanted by this breathtaking stretch of golden beach and blue-green waters, Firestone – along with friends Carl Fisher and Irving Collins – immediately began dreaming about what it could become: a refuge for stars seeking to escape the limelight. On New Year’s Eve, 1930, the Surf Club was born. Dynamic guests, including Winston Churchill, Elizabeth Taylor and Frank Sinatra, flocked to the legendary members-only club. Away from the flashbulbs of intrusive cameras, they enjoyed lively evenings of cocktails, couture and even black-tie boxing. 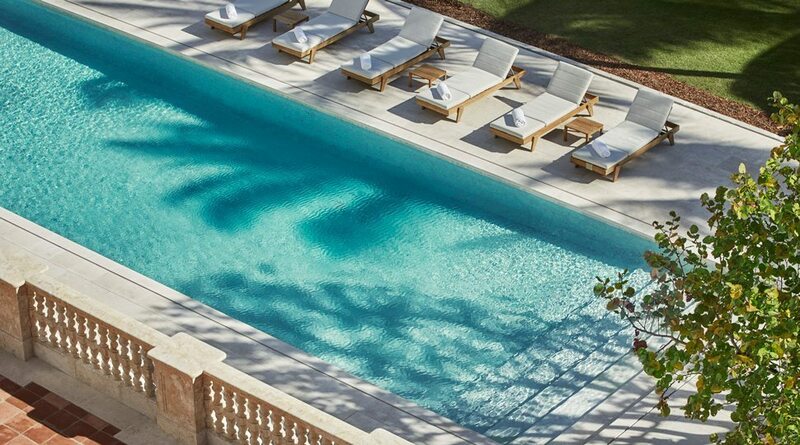 During the day, they sunbathed in assured privacy beside its world-famous pools. Occasionally, they kayaked in them. 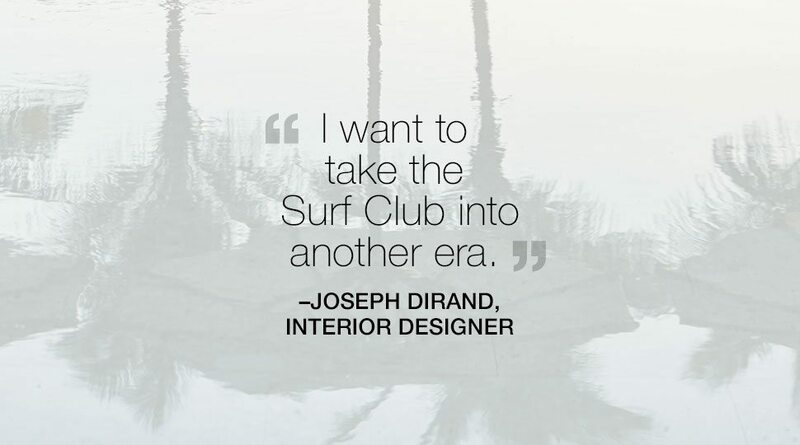 The pursuit of merriment went on for more than nine decades, but the Surf Club closed its doors in 2013. 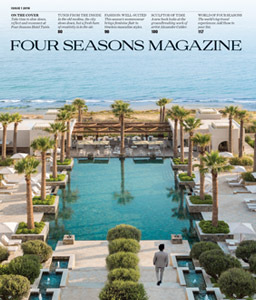 Four years later, Four Seasons Hotel at the Surf Club, Surfside, Florida, has brought Firestone’s idyllic refuge back to life. Today, the original structure is the heart of the property. 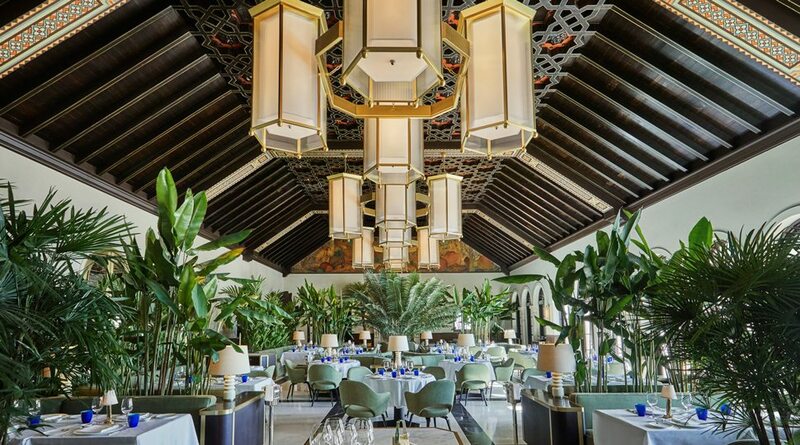 It contains Le Sirenuse Miami Restaurant and Champagne Bar, the Hotel lobby, a seating area and elevators to the guest rooms connected by the main corridor and ballroom, originally dubbed Peacock Alley. Three 12-storey towers surround the original structure, and house 77 luxury guest rooms and 119 Private Residences. 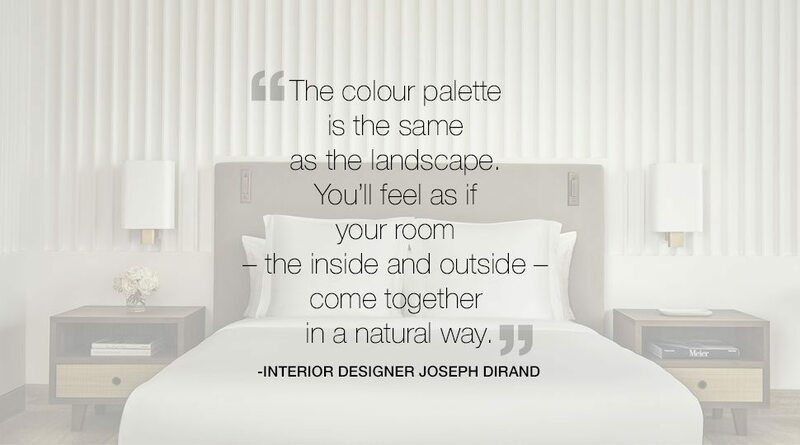 For these, minimalist Joseph Dirand designed sleek and seductive interiors. 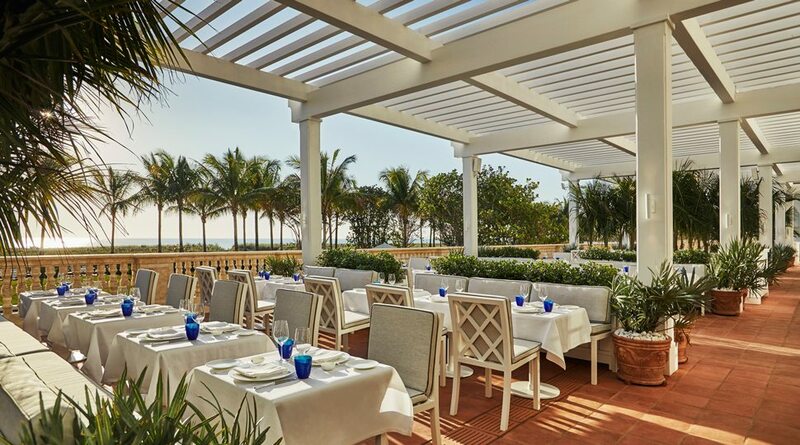 The Surf Club is a historic landmark, “but coming here with Four Seasons really just adds more to that,” says Reed Kandalaft, the General Manager of the Hotel. 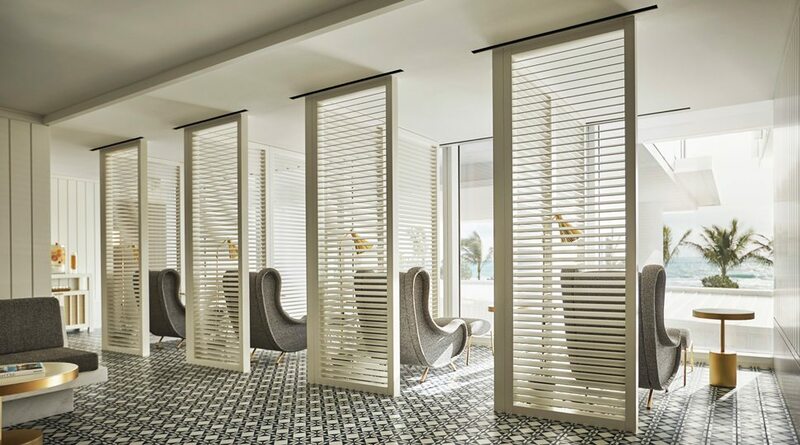 “We add our service and our standards.” The Surf Club’s new mission, he explains, is deeply rooted in its history: To provide an elegant waterfront sanctuary, one that honours classic glamour while boldly looking forward. 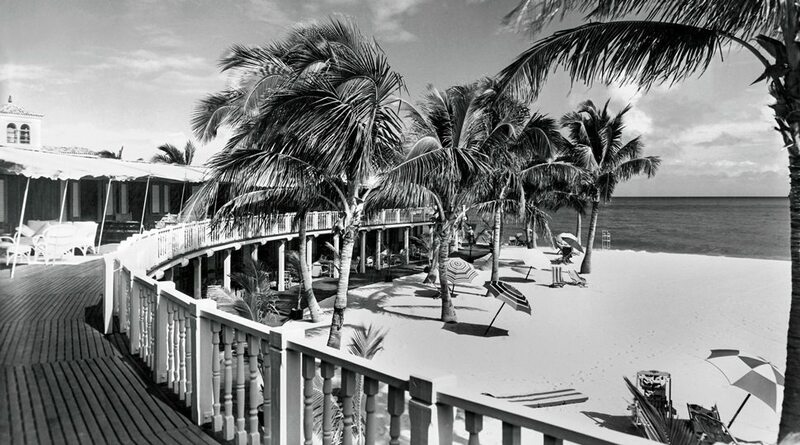 Explore the Surf Club – then and now – through these photos. 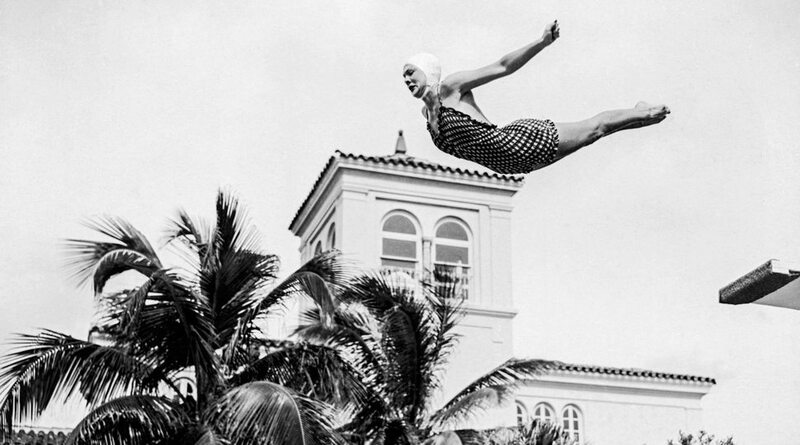 Beyond this diver from the 1940s stands the Surf Club’s original structure with its signature tower. Today, you may enter the building to view a Michele Oka Doner installation inspired by the Surf Club’s past. Relax in or beside any of the Surf Club’s three pristine pools, open sunrise to sunset, surrounded by the shade of coconut palms and sea grape trees. “I love the peacefulness of the rooms,” says Dirand. One of his favourite locations? 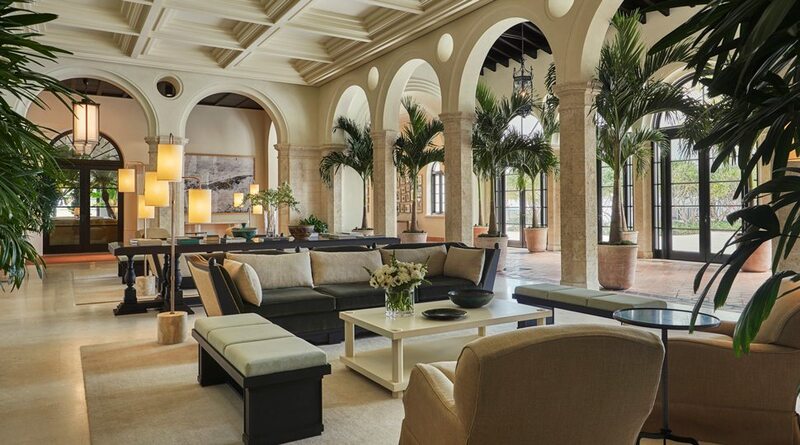 The relaxation area at the Spa. In the past, the members-only club provided a playground for those seeking to escape the limelight. 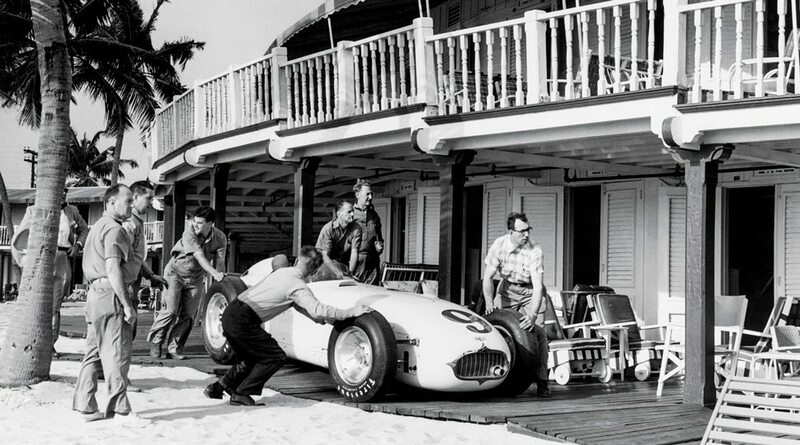 Here, a group of men gear up a race car with requisite Firestone tires. Dirand believes he accomplished his goal of taking The Surf Club forward thanks to the Four Seasons partnership. 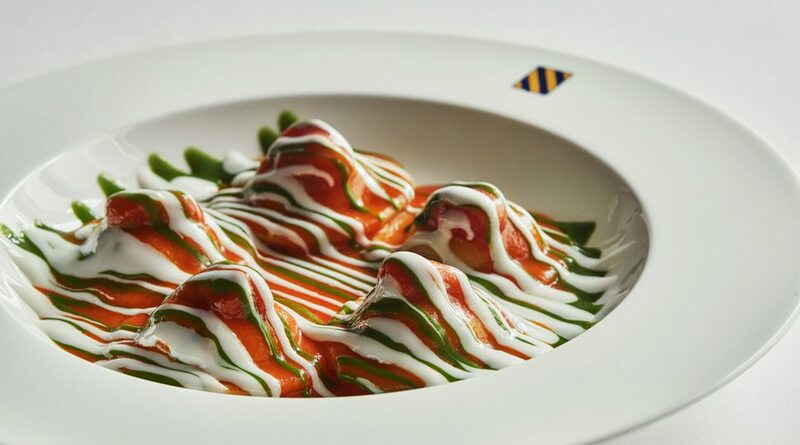 All of Le Sirenuse’s dishes are designed to take you on a journey to Italy through flavours, ingredients and aromas. 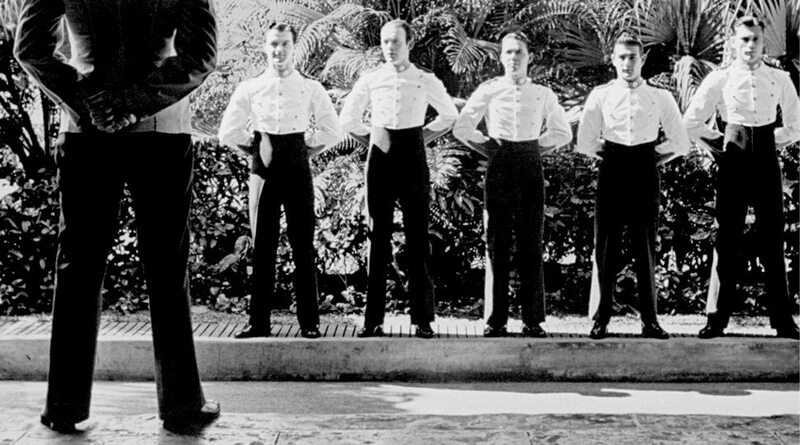 Dapper staff of an earlier time tended to guests such as Noel Coward, Douglas Fairbanks Jr. and Elizabeth Taylor, The Duke and Duchess of Windsor, Frank Sinatra, Tennessee Williams, Joan Crawford and Liberace. Winston Churchill used to do watercolours here. Now, anyone can enjoy painting a similar view from the comfort of their room in the new towers. 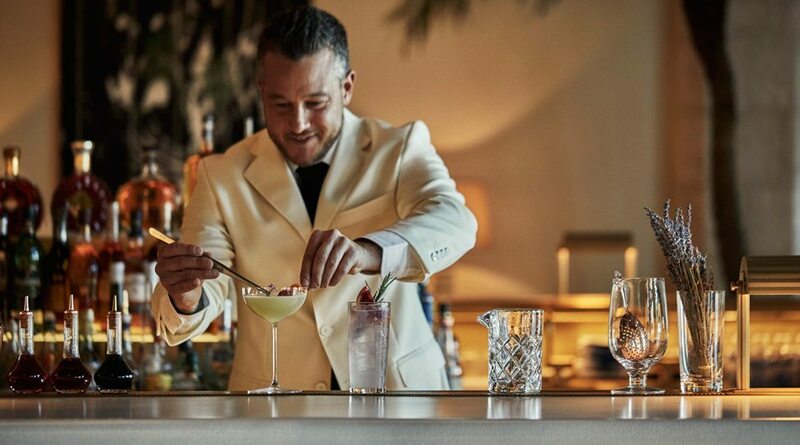 One of the Surf Club’s iconic drinks, the Mangreva, has been revived at Le Sirenuse. “You automatically want it when you’re relaxing in your beach chair and see it passing by,” says Bar Manager Jon Curiel. 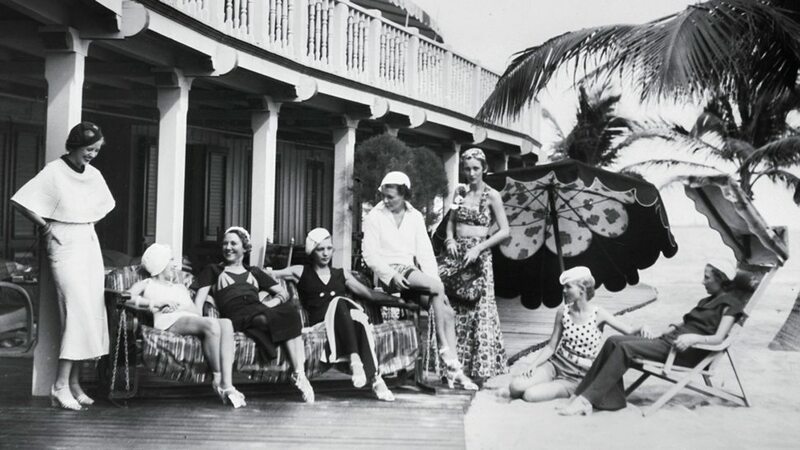 In the past, the Surf Club hosted fashion shows directed by Elizabeth Arden. The rather romantic idea of preserving the club prompted Sersale’s investment. 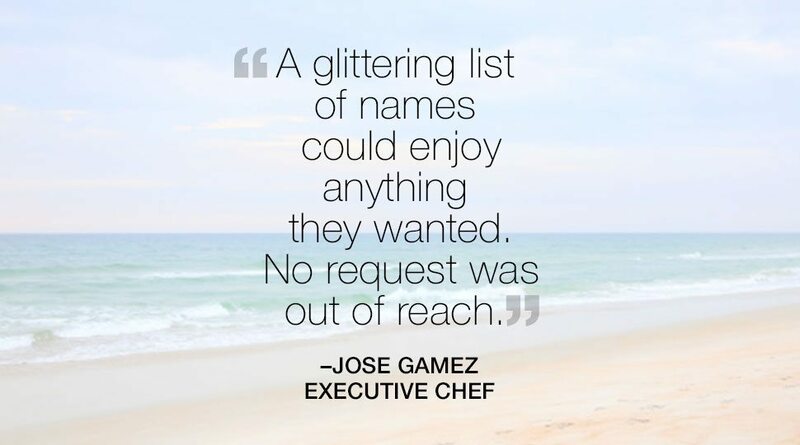 But finding the right architect, designer and partner in Four Seasons was “the icing on the cake,” he says. 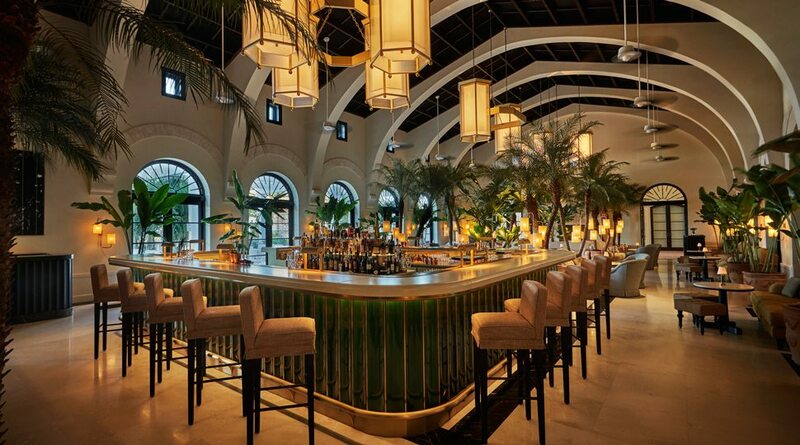 Today, Le Sirenuse Champagne Bar has a seasonal cocktail menu. 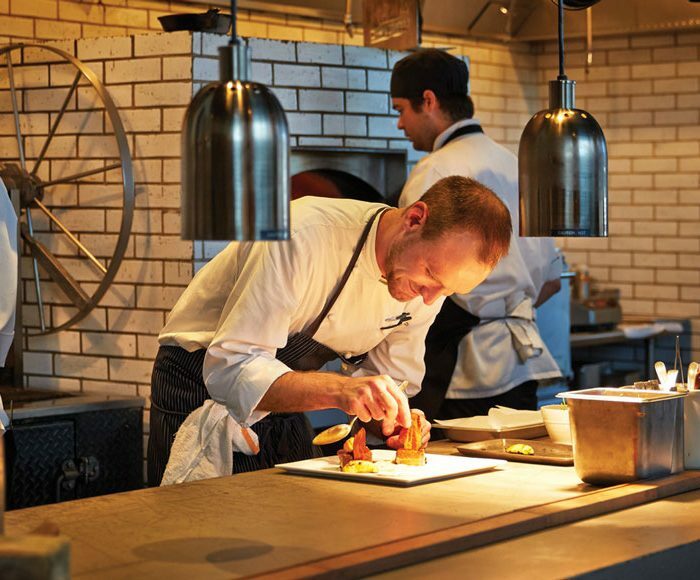 Bar Manager Jon Curiel and his team’s drinks pay tribute to the restaurant’s Italian roots. His recommendation? The Hint of Wood, which has floral, citrus and spicy notes. 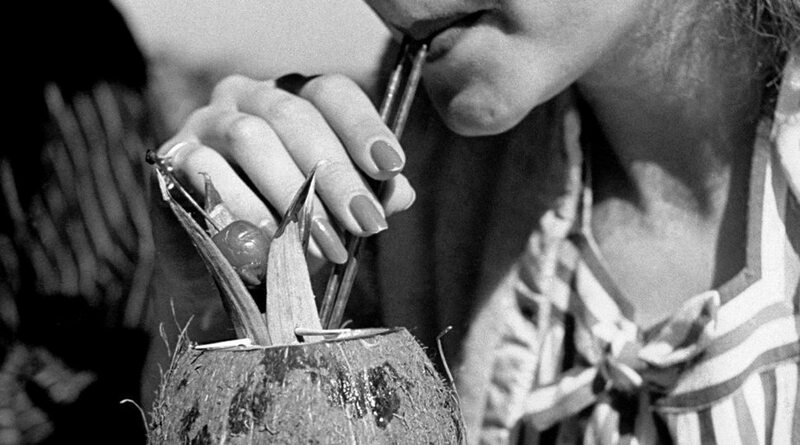 In the 1930s, Surf Club members indulged in cocktails on the Promenade for Cabana Row. 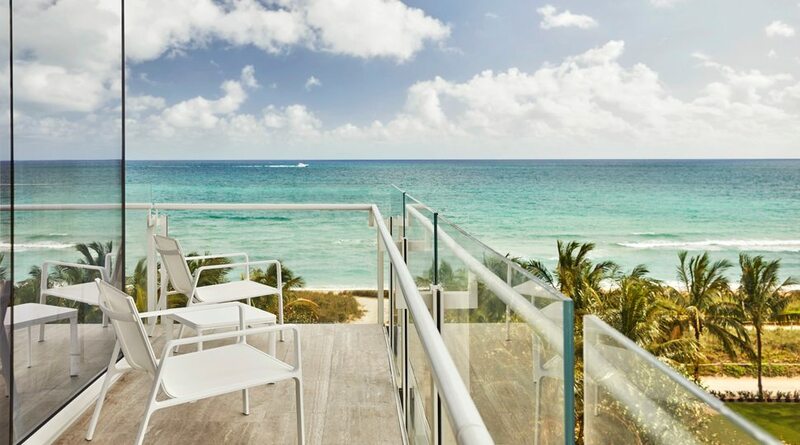 Today, you can look forward to 40 modern cabanas, with air conditioning and private showers, at the site of the cabana pool. 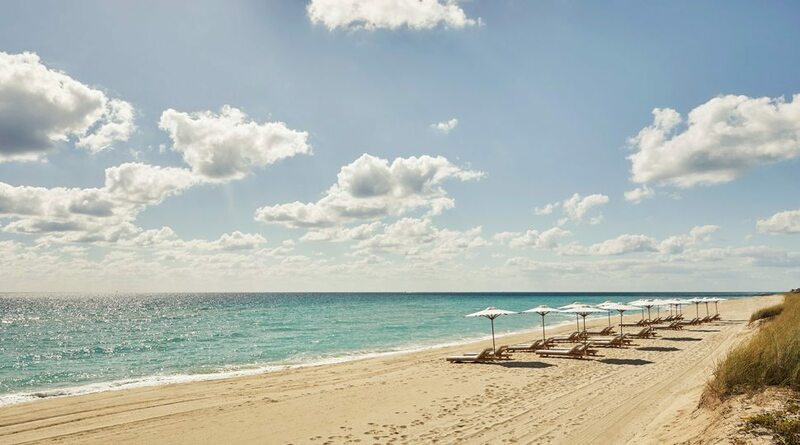 Enjoy an impeccable white sand beach – 900 feet (274 metres) long – at the Hotel, not far from distinguished Bal Harbour shopping and Miami nightlife. 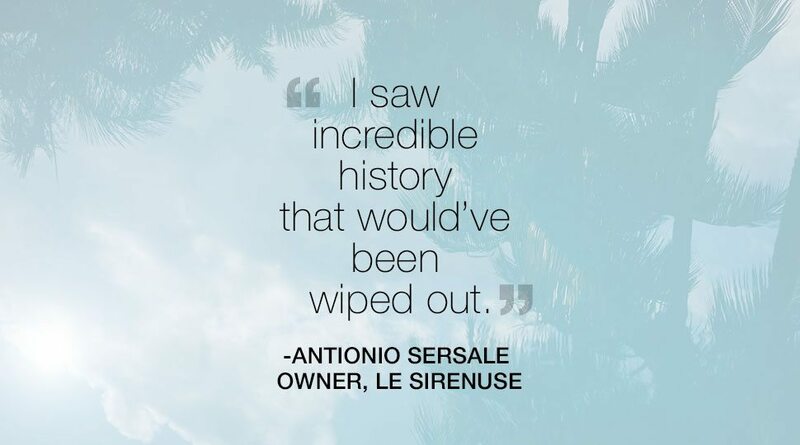 Overlooking the ocean in Florida, Le Sirenuse Miami has the same spirit as the Amalfi Coast. 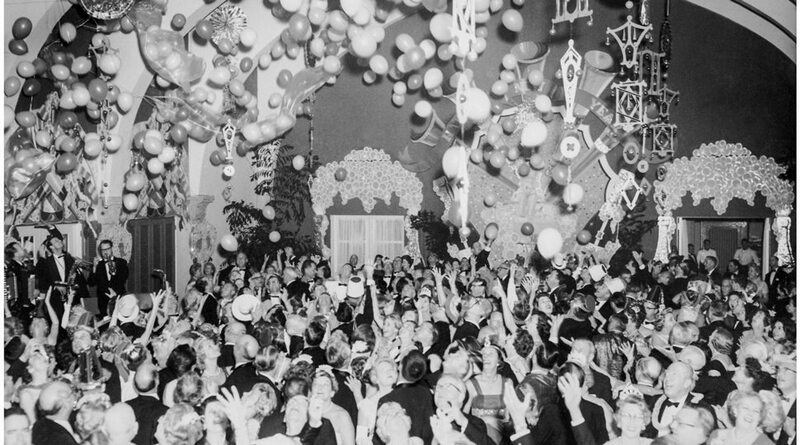 New Year’s Eve, 1930: the first celebration at the legendary Surf Club, in the space that is now Le Sirenuse Miami. The result, Dirand says, bridges two worlds: the fun of the past and a contemporary sense of peace. Discover your new favourite way to eat crab. 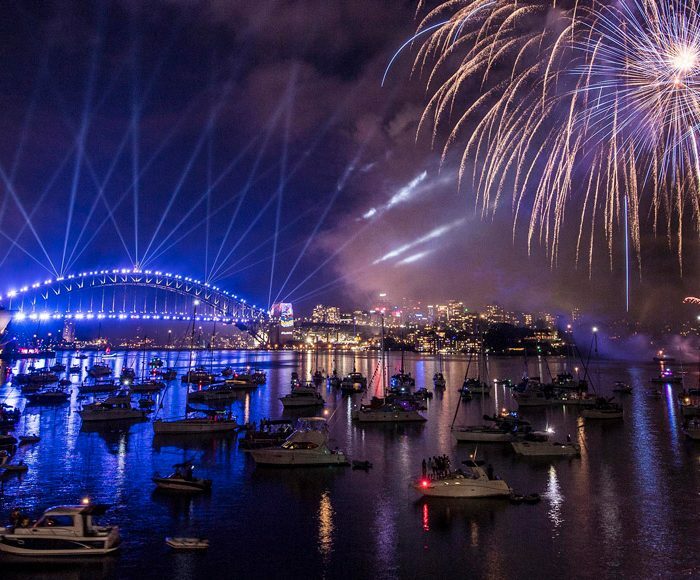 From Sydney to Dubai, these destinations will welcome 2018 in style. 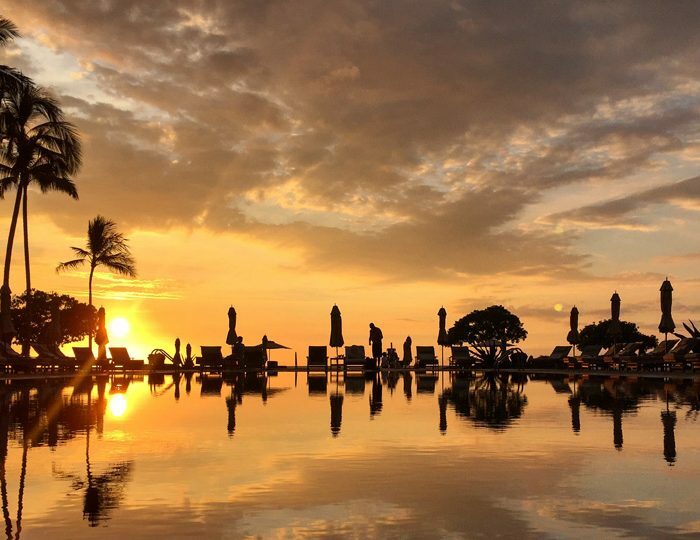 From sandy beaches to sunset views, two lovebirds reveal snapshots from their romantic Hawaiian vacation.